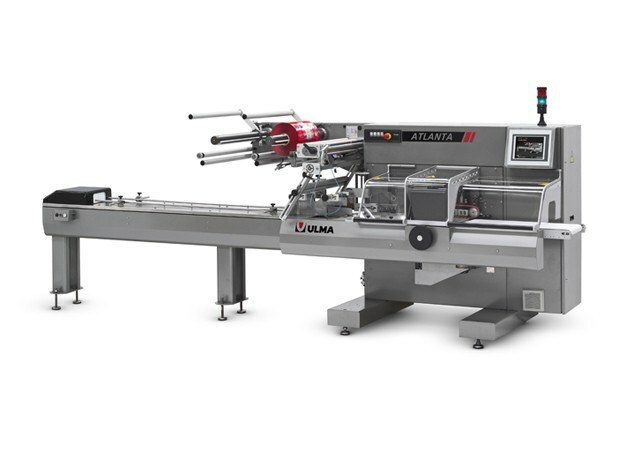 ATLANTA HI-TECH model represents the model with the highest technology among ULMA horizontal packing machines. It includes a multi-shaft electronic control which synchronises the main movements of the three main shafts of the machine. This electronic control gives the machine high versatility and flexibility in product changes and also perfect dynamics in machine movements. This technology, together with strength, reliability, ergonomic design and ease of cleaning (typical of the ATLANTA family) allow to obtain the highest performance from the machine. ATLANTA HI-TECH can also incorporate a wide range of automatic and semi-automatic feeders. The result is ATLANTA HI-TECH packing machine. 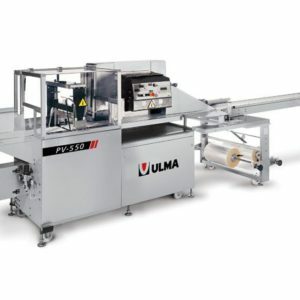 A Flow-Pack machine able to meet te strictest applications. 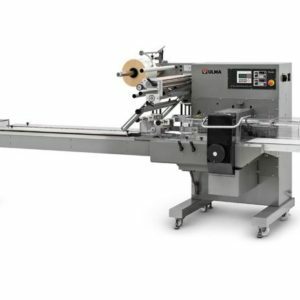 This is true for manual feeding applications and also for installations where packing machine has to be installed in an automatic packing line. Machine with three independent engines (clamps, rollers, feeding unit) synchronised by means of a multi-shaft electronic control. Built on a vertical plate to ease cleaning. Easy access to mechanical and electronic elements for maintenance purposes. Working sense : from left to right. Three pairs of longitudinal film welding and dragging rollers with pneumatic opening. Self-centring motor-driven coil support with lever brake. Package length adjustment, cutting speed adjustment (elliptical) from touch screen. Touch screen for machine parameter adjustment, diagnosis and information of machine state. Parameter memory storage : up to 50 products. Motor-driven coil support with independent engine. Motor-driven regulation of cross-welding head height. 12″ colour screen based on industrial PC with screen-integrated temperature control. Stainless version for wet environments.